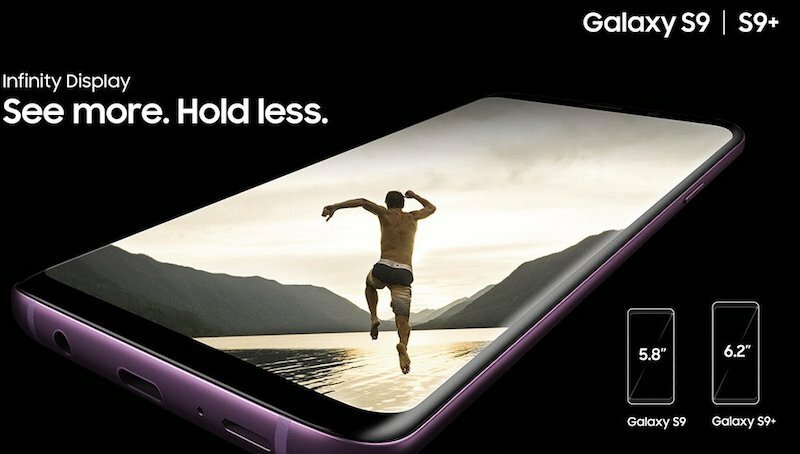 Just two weeks after the global announcement Samsung Galaxy S9 and Galaxy S9+, the company has launched the two flagship devices in India. Samsung has managed to price these devices aggressively by pricing the Samsung Galaxy S9 at Rs. 57,900, while the Samsung Galaxy S9 Plus is priced at Rs. 64,900 in India. Both the devices will be exclusively available on Flipkart. The Galaxy S9 and S9 Plus will be available in Midnight Black, Coral Blue and Lilac Purple colours and ships from March 16th. Consumers get initial launch offers for the Galaxy S9 & Galaxy S9 Plus on Flipkart and can get Rs. 6,000 cashback for purchases made with HDFC Bank Credit Cards. You can also get additional Rs.5,000 off of the price on exchange your old phone. Samsung has just unveiled two new flagship devices Galaxy S9 and Galaxy S9+ at Mobile World Congress 2018 which succeeds the popular Galaxy S8 devices. IN terms of design, both Galaxy S9 and Galaxy S9+ looks almost same as the Galaxy S8 devices, though there are some major variations. Galaxy S9 and Galaxy S9+ boast of a new variable aperture camera on the smartphone with a f/1.5 aperture for night shots under low lighting and f/2.4 aperture for normal shots in the daytime with good lighting. Galaxy S9 features a 12-MP main rear camera while the Galaxy S9+ features a dual camera module with another secondary 12MP Telephoto lens for live focus with bokeh effect having blur background. Another new feature comes in the form of 960fps Super Slow-mo video option that we have seen earlier in Sony flagship devices. Other features include the new AR Emoji which lets you create Emoji based on your real pictures similar to Apple iPhone emoji feature. Samsung has heard the feedback on the placement of fingerprint sensor with Galaxy S8 and now the fingerprint sensor is placed below the rear camera module making it more accessible with your index finger. Samsung Galaxy S9 and Galaxy S9+ will be available in four colours i.e. Midnight Black, Titanium Gray, Coral Blue and Lilac Purple. Galaxy S9 and Galaxy S9+ are priced at $719.99 (~Rs. 46600) and $839.99 (~Rs. 54400) respectively. It will be available starting March 16, 2018. The company has already started pre-bookings for the phone through its official portal in India.